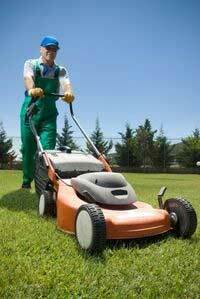 Should you use flyers to promote your lawn care business? Flyers have been a popular marketing method for small businesses for many years. However, things have changed over the past decade and many small business owners now question the effectiveness of this kind of advertising. In this article I look at the good and the bad sides of flyer marketing for a lawn care business. Flyer advertising is not for everyone and this article will help you decide if it is right for you. There are many time-tested advantages of flyer marketing. Here are five good reasons why this advertising method is still so popular with lawn mowing businesses. The main advantage that attracts business people to flyers is their low cost. They are easy to design and cheap to print. When you do larger volumes the price per unit drops even lower. Distribution costs can also be quite low, or even free, depending on which method you use. The best kinds of advertising are the ones that allow you to measure the results that they bring in. There are many ways to track the success of a flyer, such as the use of promotional codes or specific phone numbers for example. The data that you get back from a campaign will allow you to work out if it was cost effective. The other great thing about flyers is the huge range of distribution methods that are open to you. Many of them are free. They can be delivered directly to homes, handed out to people in person and spread around on walls or notice-boards. Flyers make it easy to target a certain area. Why bother spending advertising dollars to target folks who are outside your area. With flyers you can go at your own pace and you can target only those homes that you would like to service. 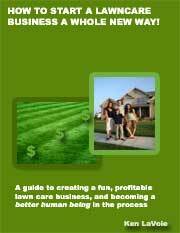 Use this concept to your advantage and heavily target homes that are close to your existing lawn accounts. If you have three or four clients on the one street you can really cut down on your travelling time. With flyers you can choose from an endless array of styles and designs. Size can vary from close to full sized posters down to tiny postcards. Paper quality can vary from thin glossy prints through to thick card board. Flyers are great for any kind of promotion and it is easy to create a design that includes a coupon or a voucher. There is also an ugly side to flyer marketing. Some of the disadvantages have become more severe over the past decade. Here are five reasons why you may want to give flyer marketing a miss. Flyers are notorious for having extremely low response rates. Most consumers don't pay much attention to the message on the flyer and quickly deposit it into the trash. 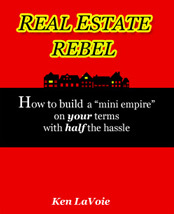 Low response rates are offset with the fact that it is cheap to print and distribute flyers. Even if you are only getting one new customer per 1000 flyers, this result may make the campaign worthwhile. Some marketing experts feel that flyers are out of date and are no longer an effective marketing method for small businesses in the US. They claim that people are now searching for things that they need online and that they simply ignore that big pile of unsolicited mail that arrives in their mailbox. No matter which way you look at it, flyers are bad for the earth. Many other things that are associated with doing business are also environmentally unfriendly but not all can be easily avoided. Flyers are optional and there is a small and growing group of people who resent this kind of marketing due to the wastefulness that it encourages. Do you think that prospective clients in your market would be bothered about this? A little research may confirm that flyer drops would be a big 'no no' in your area. If you are running a 'green' or 'environmentally friendly' lawn care service than flyer marketing would definitely be off limits to you unless you want to be accused of being hypocritical. Distribution is not always easy and some methods can be downright illegal. In the US you can't put them in mail boxes and many people won't be happy to have someone approach their front door to slip a door hanger over the handle. Try putting them under car windscreen wipers and you may find that they end up blowing all over the street. The last thing that you want is your lawn mowing flyers to damage your reputation. Many entrepreneurs think that flyers are great as you can distribute them for free. Most forget to place a value on their own time. Let's say that you end up spending hours going door to door or looking for places to hang up your flyers. Shouldn't you ask yourself if there is a better way to spend your time? My opinion is that as this advertising method is reasonably cheap you may as well run a few tests. Always use carefully selected distribution methods to stay on the right side of local authorities. If it works out well for you then you might consider making flyer drops a regular part of your marketing. If lawn care flyers don't work out well in your area then you can always cut your losses and move on.